Whenever I hear someone say they can’t watch a black & white movie or television show, I cringe … with pity. No student, lover or fan of cinema ignores the 50 plus years of artistry and lighting evolution that went into perfecting the black & white image on film … before color became the common palette. 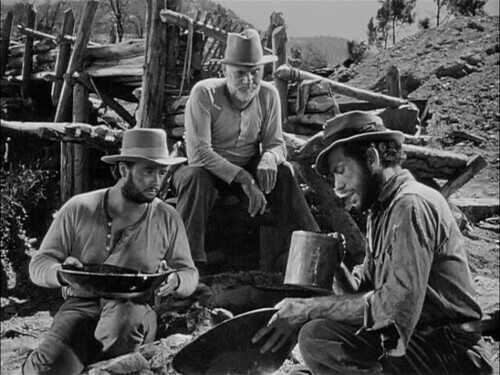 And all that brilliant contrast of light and dark went the way of that gold dust blowing away into the wind at the end of Treasure of the Sierra Madre. Citizen Kane. The Third Man. The Maltese Falcon. Casablanca. Strangers On a Train. 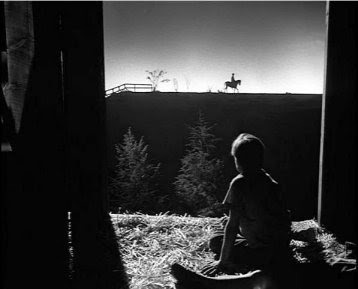 Night of the Hunter. I’m sure you have favorites. And it wasn’t the lack of technology that made these classics black & white. Color was around long before Dorothy landed on the Yellow Brick Road in 1939. In these and many other films, it was often the artistic choice of the director or cinematographer. Many directors more recently have tried to recapture that look. Peter Bogdonavich with The Last Picture Show in 1971. Robert Rodriguez with Sin City in 2007. And even Hitchcock revisited it as late as 1960 with Psycho. 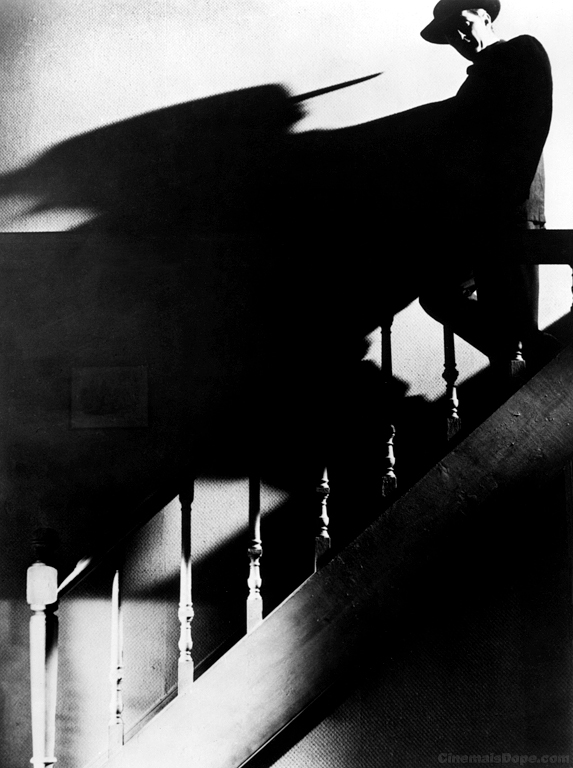 The very translation of the classic style of Film Noir is Film “Black.” Black as night. Full of inky black and veiled gray shadows, in alleys and across faces. There’s just nothing quite like it in color. I wondered if my young son would ever watch black & white, let alone come to appreciate the gothic style horror lighting so perfected in black & white long before his time and even long before mine. Just yesterday (it seems like), when my son was seven years old, he collected Yu-Gi-Oh bubble gum cards that included ‘monster’ cards. 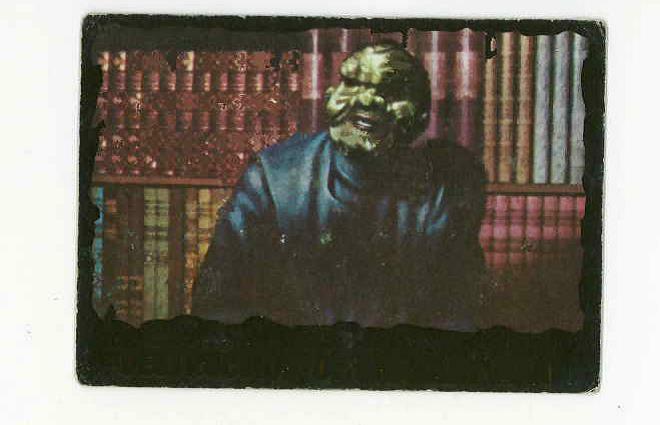 They reminded me of cards I collected as a kid from a science fiction horror TV anthology series in the early 1960’s called The Outer Limits. Each week a disembodied ‘control voice’ took over your television set and introduced a gothic-style horror or science fiction story with new characters, and featuring at least one new monster. Because this was 1963 and most television sets could only play black & white, the show was filmed and broadcast in black & white. But this was the ‘perfected’ black & white shot by a master cinematographer (Conrad Hall), who would later go on to win Academy Awards. I was only about eight years old when the show first aired and I remember that it scared me out of my wits. I went to bed every Saturday night with nightmares, and yet I couldn’t wait until the next week to have some new ones. Perhaps this was the beginning of an adrenaline addiction. 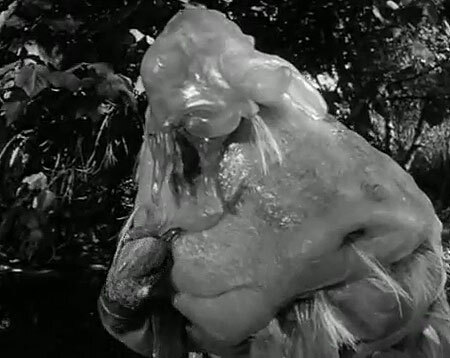 I just know I wanted to be scared silly, and The Outer Limits never failed to do the job. So I retrieved the treasured deck of monster cards I had collected back in 1963 to show my son. Each card featured a hideous creature from one of the episodes. 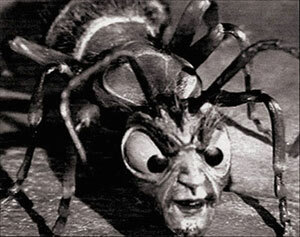 There was the bug-eyed alien with the razor sharp boomerang from “Fun and Games;” the shimmering, negative image radioactive man from “The Galaxy Being;” and the one that gave me the worst nightmares of all … the over-sized crawling ants with human-like faces known as “The Zanti Misfits.” In this episode, these insect monsters crawled out of their spacecraft atop a military post headquarters in a deserted Western town named “Morgue” and attacked everyone in sight. I couldn’t sleep for weeks. I was crushed. What could be more terrifying than loudly buzzing, over-sized ants with human-like faces crawling up your leg and biting you with poisonous teeth? I cued up another episode called, “The Mice,” that featured what appeared to be a man on two legs covered from head to waist with a huge blob of snot-like gelatinous material with two protruding, claw-like hands. It was obviously a man in a costume fitted with a huge glob of fake jelly slapped on top. He watched this ‘Jelly Man’ picking up lake scum with its claws and stuffing it in what appeared to be a slit-like mouth. He watched the Jelly Man running through a forest back to a laboratory. He watched the Jelly Man use its claws to attack and kill one of the workers in the laboratory where the creature had first been transported to Earth. And he watched as they eventually captured and sent it back to the planet it came from in the same transporter. And that was it. No major reactions from my son. But somehow he couldn’t take his eyes off of the Jelly Man until he had seen its final moment on screen. That same night he insisted his mom come and lay down with him in his bed when he prepared to go to sleep. He told her to leave the closet light on. And when he finally and fitfully fell to sleep, his mother came out to the living room with a sour look that and scolded me for scaring him with the ‘Jelly Man.’ She went to bed mad as hell. And, as soon as the bedroom door slammed closed, I found myself grinning from ear to ear. An old black & white TV show that had scared me as a kid more than 40 years ago could still scare a kid today. It may have been the ‘Jelly Man’ and not the human-faced crawling ants with poisonous teeth, but it still counted. That old black & white mojo still worked. I shouldn’t be proud about scaring my son with this stuff, but when he so easily scoffed at one of my most powerful childhood fears with, “That’s not scary,” well, I couldn’t help but feel glibly vindicated. And so I grinned. And a week later he was still insisting on sleeping with the lights on in the closet and secretly talking about the ‘Jelly Man’ to his mom (but never admitting his fear to dad, of course). I apologize to him to this day. I’m deeply sorry. But wait until he sees the episode with the space rocks that come alive and cover your face with smothering black goo. This entry was posted on Thursday, September 12th, 2013 at 6:23 pm	and is filed under Movies, Reality, TV. You can follow any responses to this entry through the RSS 2.0 feed. You can leave a response, or trackback from your own site.